Hudy Muldrow Sr. was charged with two counts of death by auto in the May 17 crash. Pat Battle reports. 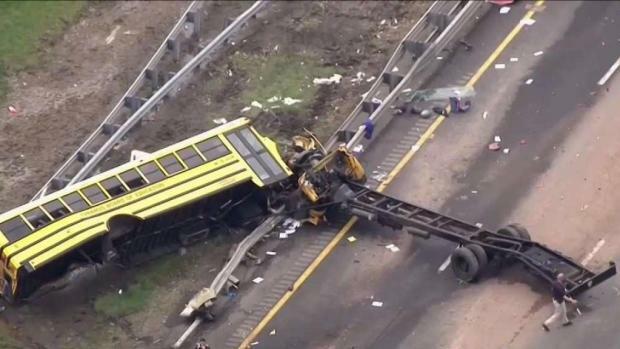 The 77-year-old driver behind the wheel of the school bus that crashed last week while trying to make a sudden U-turn in a highway median last week has been charged with causing the deaths of a student and teacher aboard, authorities said on Thursday. 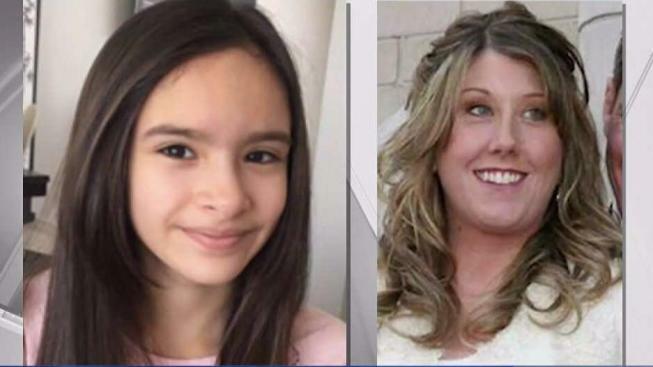 Hudy Muldrow Sr. was charged with two counts of death by auto in the May 17 crash on state Route 80 that left 10-year-old Miranda Vargas and teacher Jennifer Williamson Kennedy dead, according to authorities. Muldrow was driving the bus from East Brook Middle School in Paramus to a Waterloo Village, a historic site in Stanhope, at the time of the crash. Thirty-eight students and seven adults were aboard the bus when he allegedly made a sudden U-turn in the median of Route 80; a dump truck collided with the bus about that time, knocking it off its chassis. An attorney for Muldrow told News 4 that he went with his client to the Morris County prosecutor's office Thursday morning to turn him in for processing. School bus Chris Glorioso reports on a blind spot in the way that school bus drivers are monitored. "Last Thursday’s accident is a truly tragic event. We mourn the loss of life and our thoughts and prayers are with the families so affected. Likewise, that extends to all those that were injured in this accident," the attorney, Mathew W. Reisig, said in a statement. " Muldrow Sr. had a total of 14 license suspensions, eight speeding tickets, a careless driving ticket and a ticket for an improper turn in 2010, a spokeswoman for the Motor Vehicle Commission said. The most recent suspension was from Dec. 20 of last year to Jan. 3 of this year for unpaid parking tickets. Muldrow had a commercial driver's license issued in 2012 and got the school bus endorsement on his commercial driver's license in 2013, the MVC said. A detention hearing for Muldrow is scheduled for Friday. His arrest comes the same day as Kennedy's funeral. Hundreds attended services for Vargas on Monday, and her parents have sent a notice of tort to Paramus town and school officials indicating they plan to sue.